Your child watches you write everyday. You make a grocery list, sign a credit card bill in a restaurant, or sign for a package delivery. Families and teachers can take advantage of these experiences to help children understand that the marks we make on a page have meaning. For example, when signing your name on a credit card bill at a restaurant, talk to your child. Tell your child that these marks are the way to write your name. 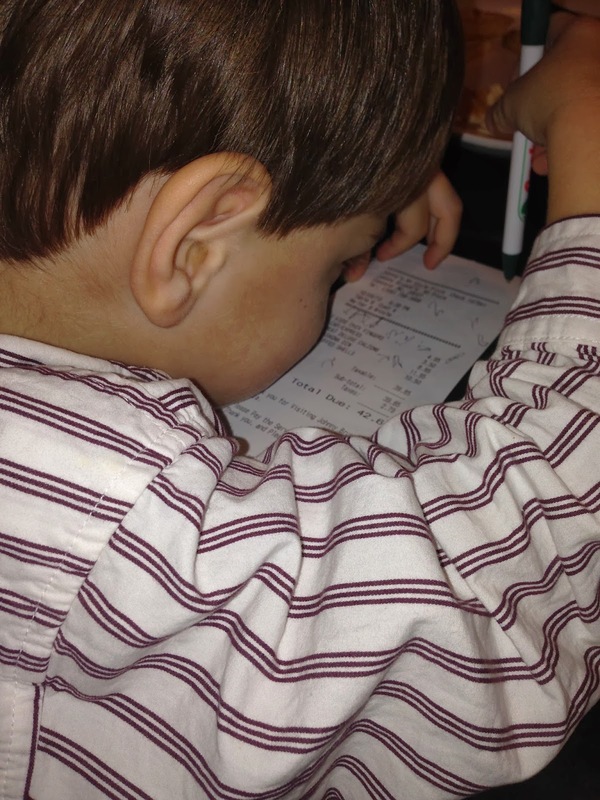 This child mimics his parent by writing on a receipt. Extend the idea that writing is meaningful whether at home or in school. Have children play restaurant. 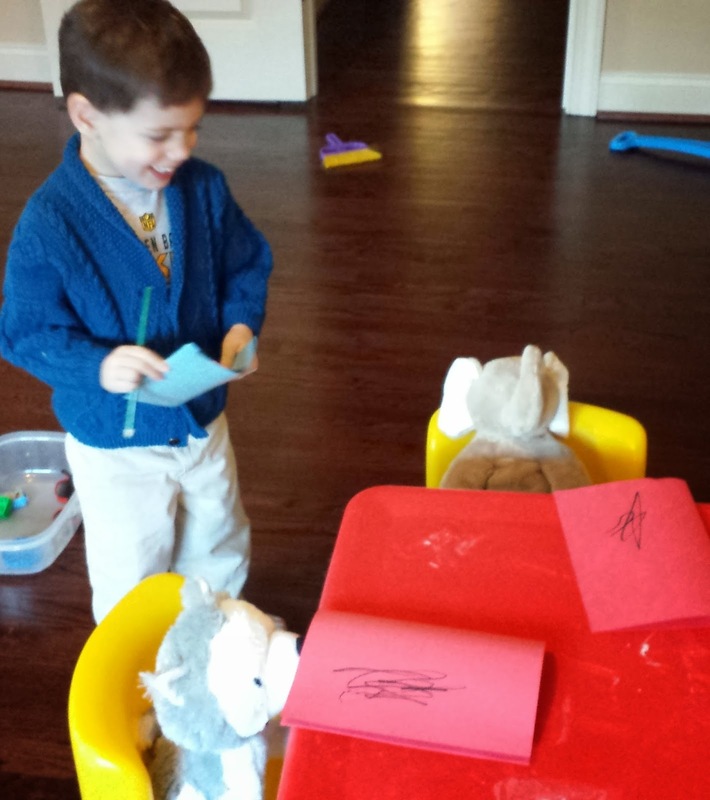 Set up stuffed animals around a table. Have your child decide what food he or she would like to serve in their restaurant. 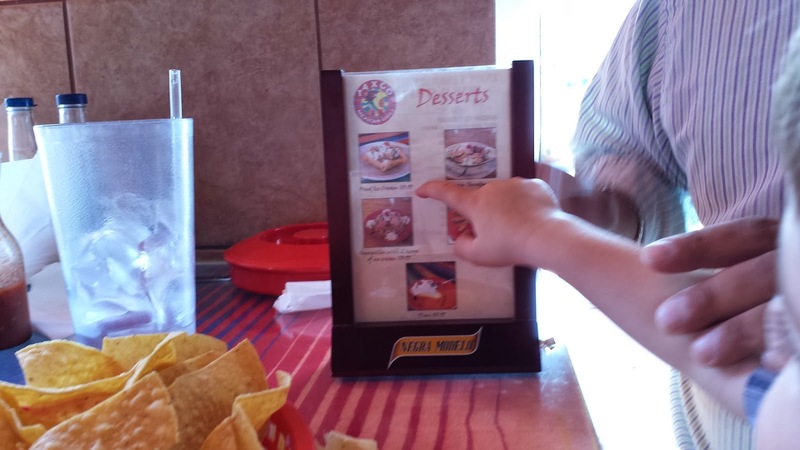 Invite your child to create a menu. Remember, it doesn’t matter if the markings on the “menu” resemble words or even the alphabet. (See our post from July 16, 2013: Encourage Writing). The important concept is for children to connect writing and meaning. 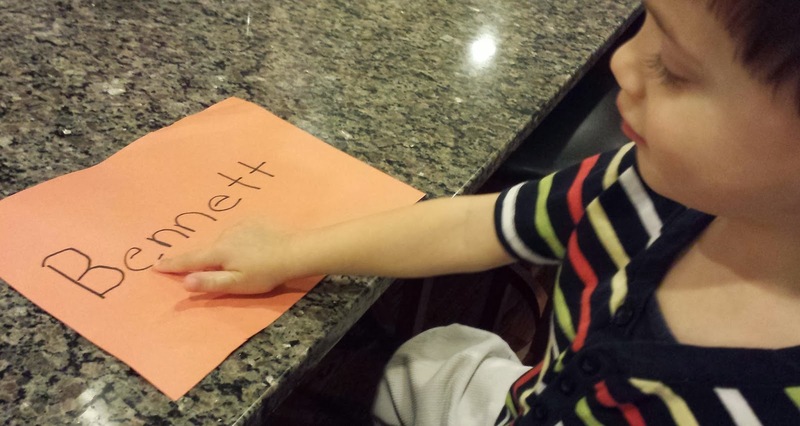 This preschooler is making "random marks" on his menus. 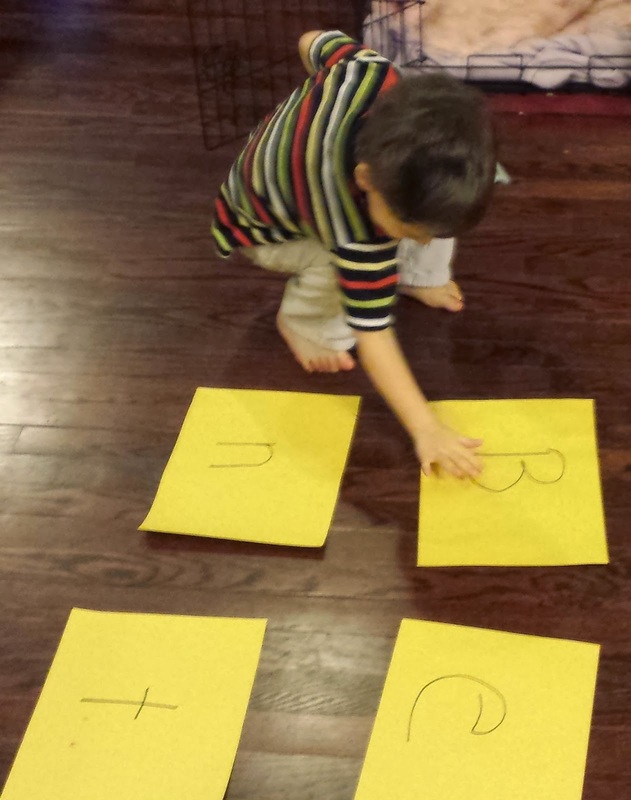 This is a developmentally-appropriate way of writing. 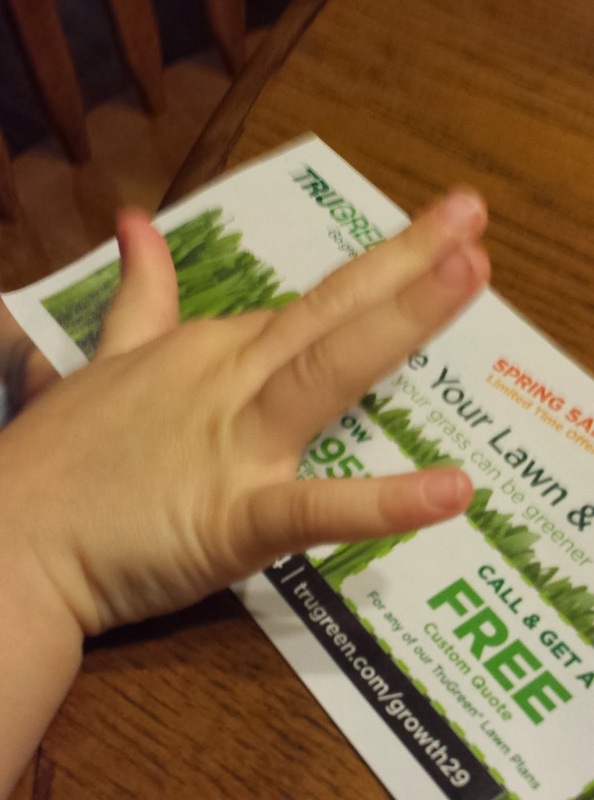 Encourage your child to hand the newly created menus to their restaurant guests. Children learn that the marks on a paper have meaning. By taking the “orders” from the animal customers, children further their understanding that writing is talk written down! 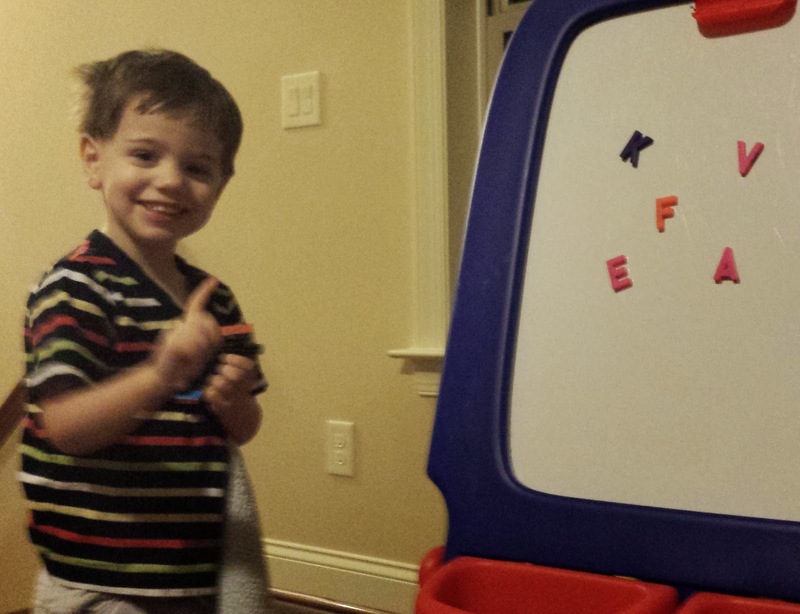 The literacy "play time" is complete. The child takes food orders! 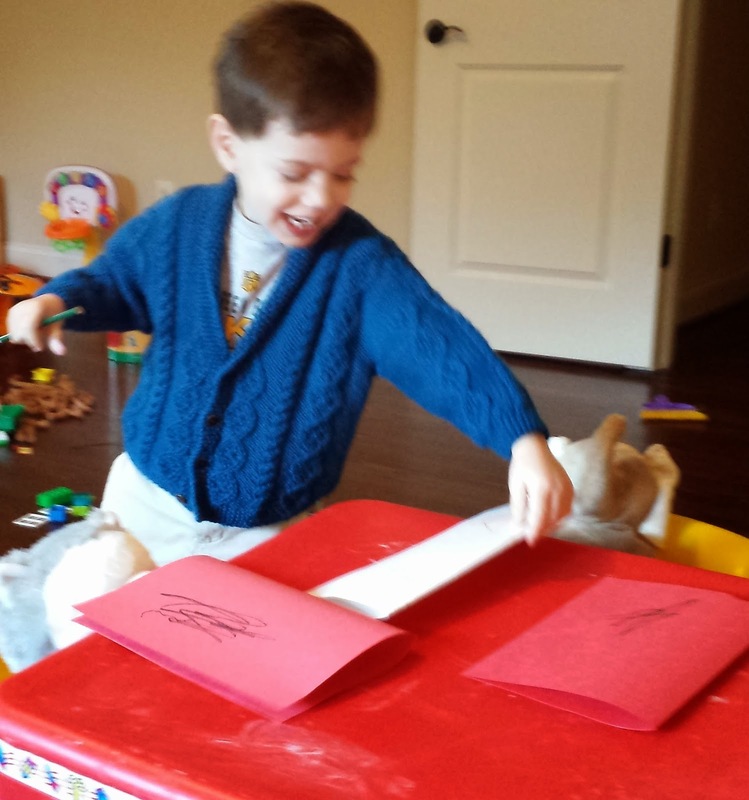 We love when imaginative play and literacy combine in a developmentally-appropriate way! 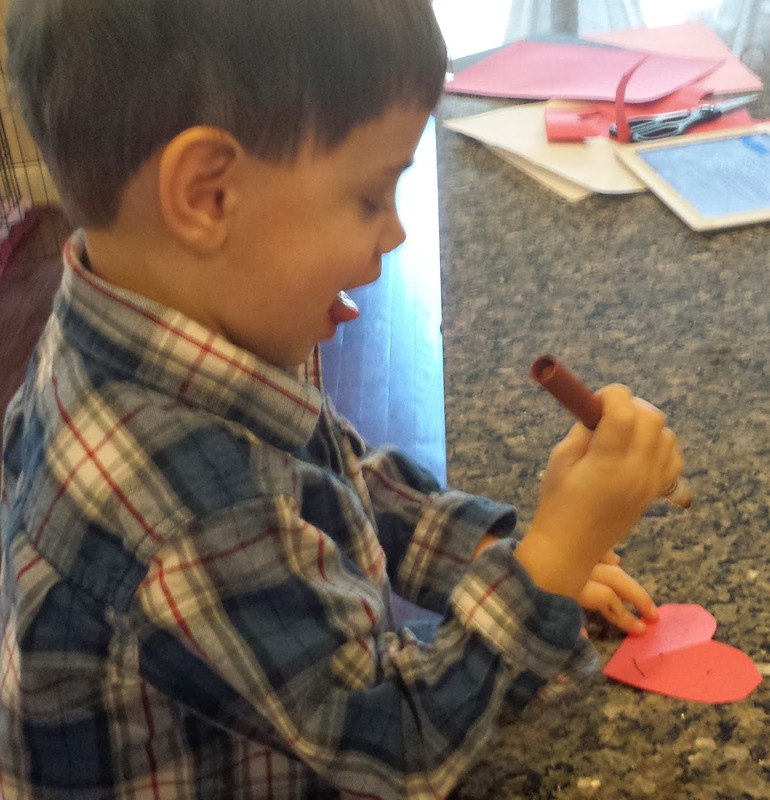 Valentine’s Day is the perfect chance to encourage lots of oral language, especially the use of school vocabulary. This academic language can often be confusing to children. 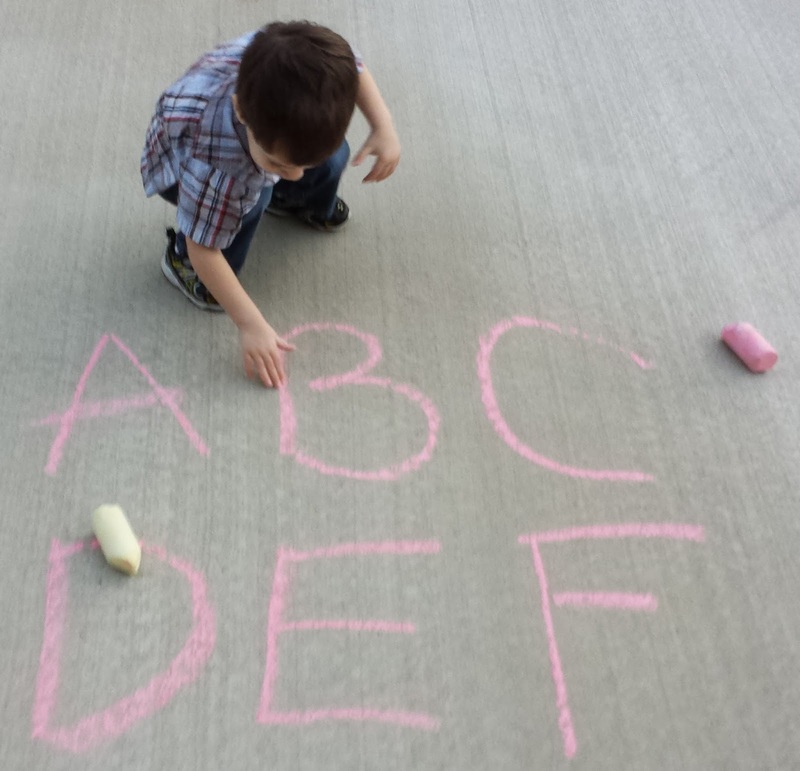 Make it a natural part of your play, as children love using new words. Praise them! Encourage them! Use the opportunity to make their vocabulary grow! Cut out a heart. Fold it in half. Have your child hold it against a mirror. Talk about how half of the heart is a mirror image of the other half. 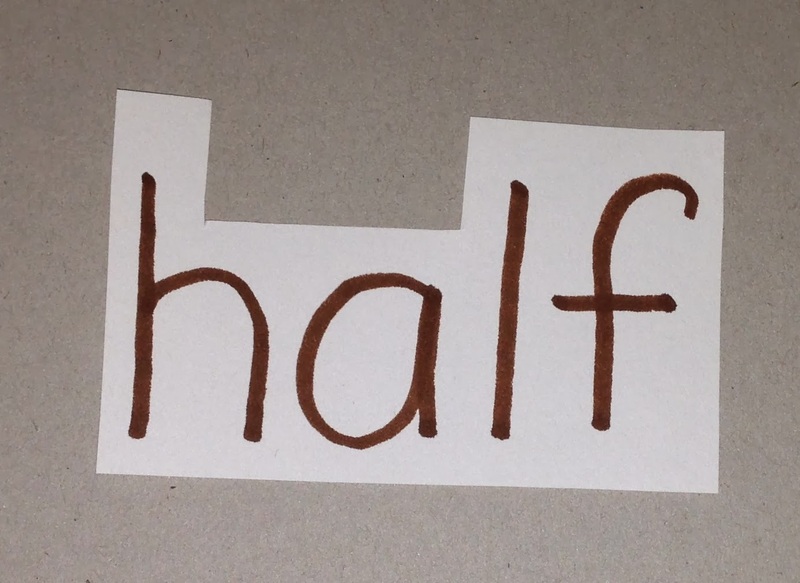 You are using two important math words: half and mirror image.We will talk more about these key words below. We like to cut around the letters so children have a visual of tall letters, letters with tails, and even letter with dots. We suggest cutting the word apart. This helps develop Concept of Word. While we're cutting hearts, talk about the concept of half (or fractions). Some elementary teachers believe that children have a discernible aversion to fractions because of the language used to introduce them to the concept. We often say, “Give your sister half of the cookie.” Or we might tell a child, “Break the candy bar in half and only eat part. Save the other half for later.” This gives children a negative view of the half. 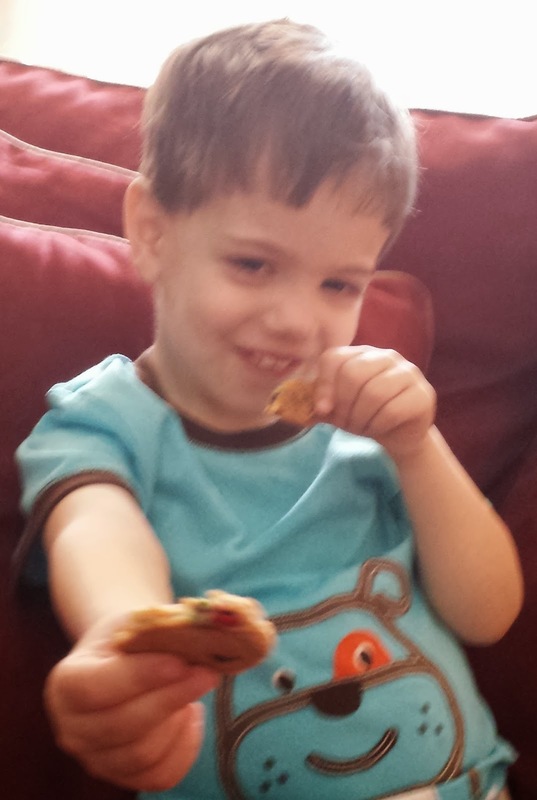 Not every child likes to share half of a cookie! Give children a positive feeling about half. Look in the mirror while holding up half of the heart. Talk about how the half looks like a whole heart while looking in the mirror. Talk about mirror images. While this is only an introduction to mirror image, it does give your child important background for later geometry work. 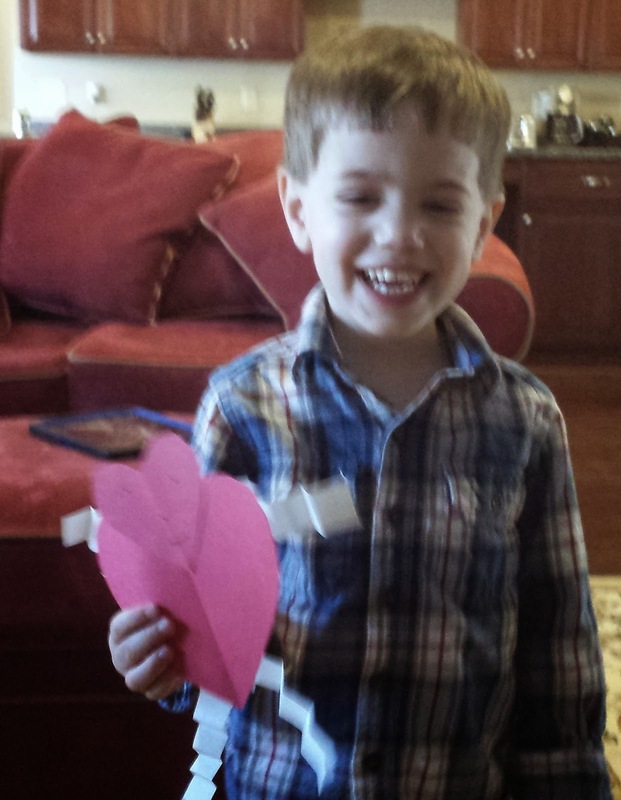 Holding a folded heart to a mirror helps children understand the concept behind fractions: two halves make a whole. And this seems like play! 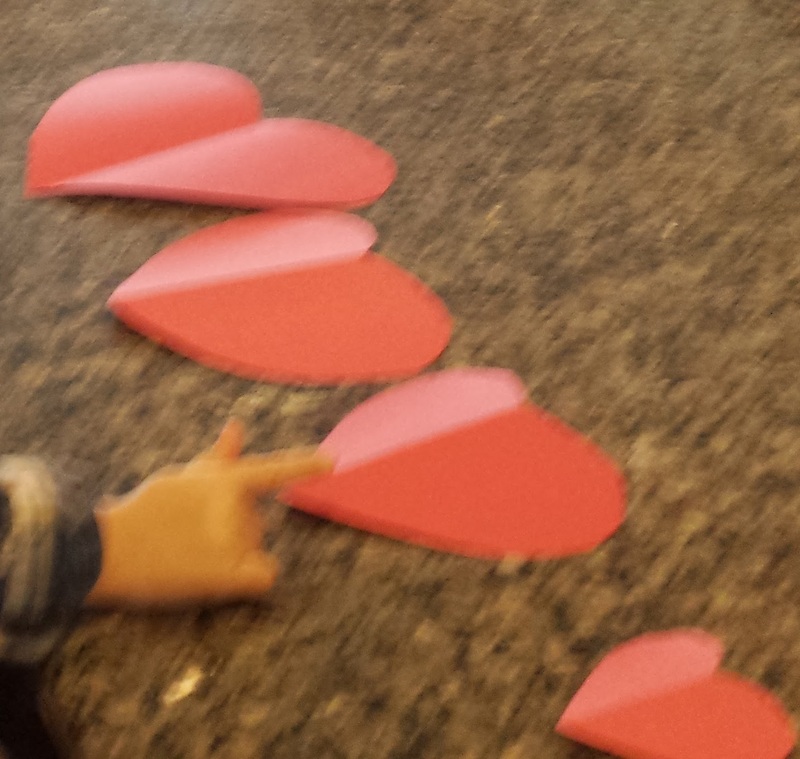 Reinforce school vocabulary such as bigger and smaller by cutting out a series of hearts in various shapes. Have your child order them from biggest to smallest and smallest to biggest. Encourage talk such as, “This is the biggest heart. This heart is a little smaller,” etc. This is necessary school readiness as primary teachers often use vocabulary such as big and small and assume children can order objects. Turn your vocabulary/math lesson into art! Make a Funny Valentine person. Use several of the hearts. Make one a face. Ask your child to draw a face on this heart. Cut out two long strips and two short strips. Notice the important vocabulary that you can use with your child when showing him/her the strips. Explain that these will become the arms and legs of the Funny Valentine. Show or help your child fold these strips accordion style so they are bouncy. Use words such as back and forth as you fold. Finally, glue or staple the face onto a big heart body. Add the accordion strips. 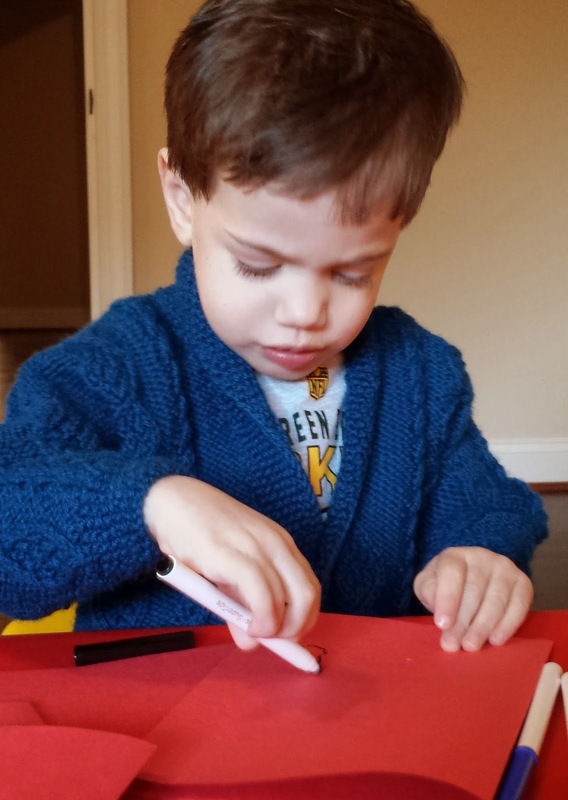 Develop fine motor skills by letting your child practice with markers and glue. 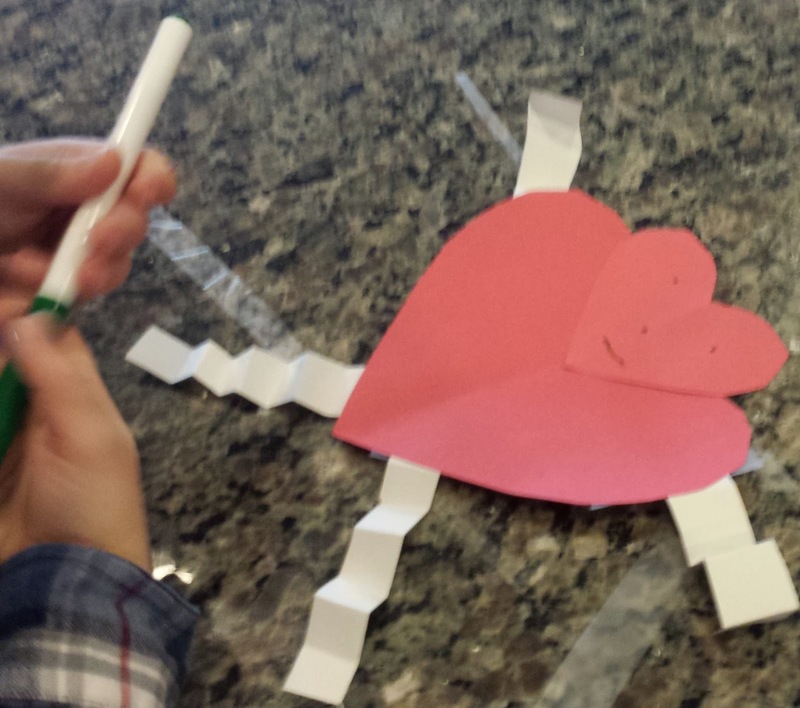 Have your child talk to or dance around with his/her new Valentine friend! We love to have children retell how art was created. 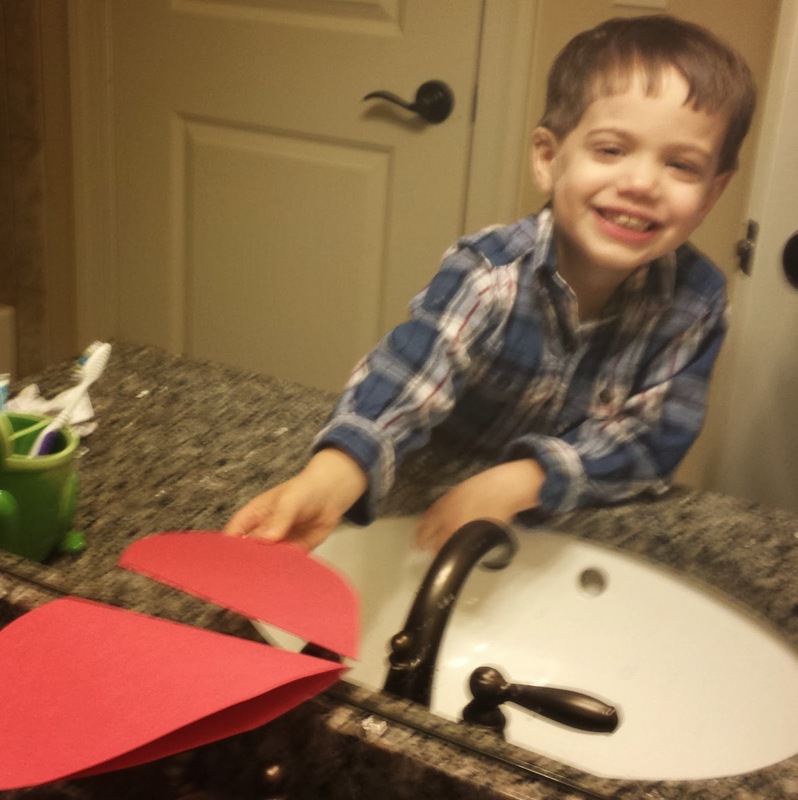 Why not have your child whisper to the Valentine Friend the sequential steps that resulted in this new buddy! We are always fans of connecting children’s excitement with the goals of pre-school. 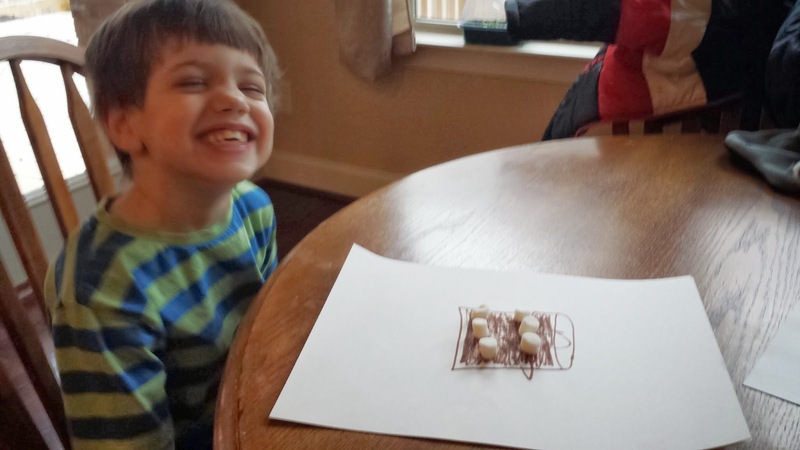 Use the fun of marshmallow math and art to recreate and enjoy the wintry experience. 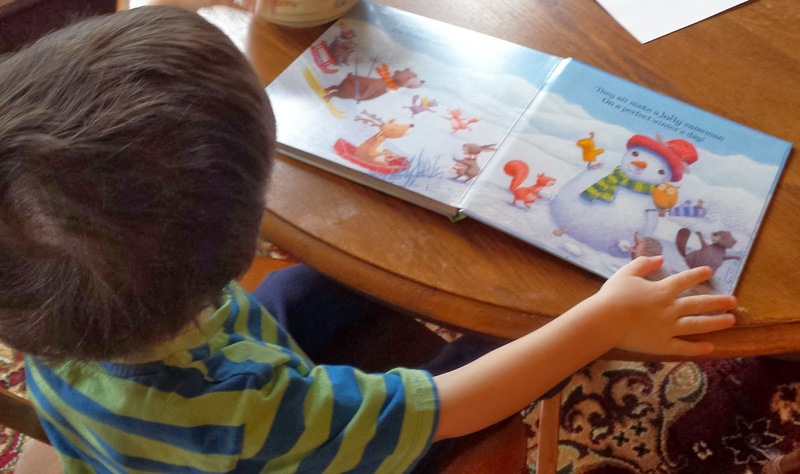 Show children pictures of snowmen in books or walk around your neighborhood to look at snowmen. Ask them to describe how snowmen are made. As you do this focus on three balls of snow. Ask them to find other groups of three: 3 houses, 3 swings, 3 shovels, etc. The key is to verbalize an understanding of 3. When you get back in the warmth of your home or school, ask your children to count out 3 large marshmallows and build a marshmallow snowman. 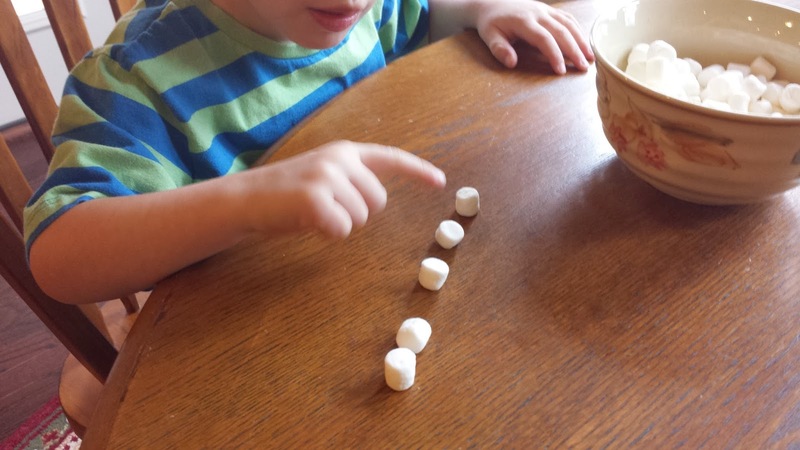 To make it sturdier, an adult might help by putting a toothpick through the marshmallows. Be careful! 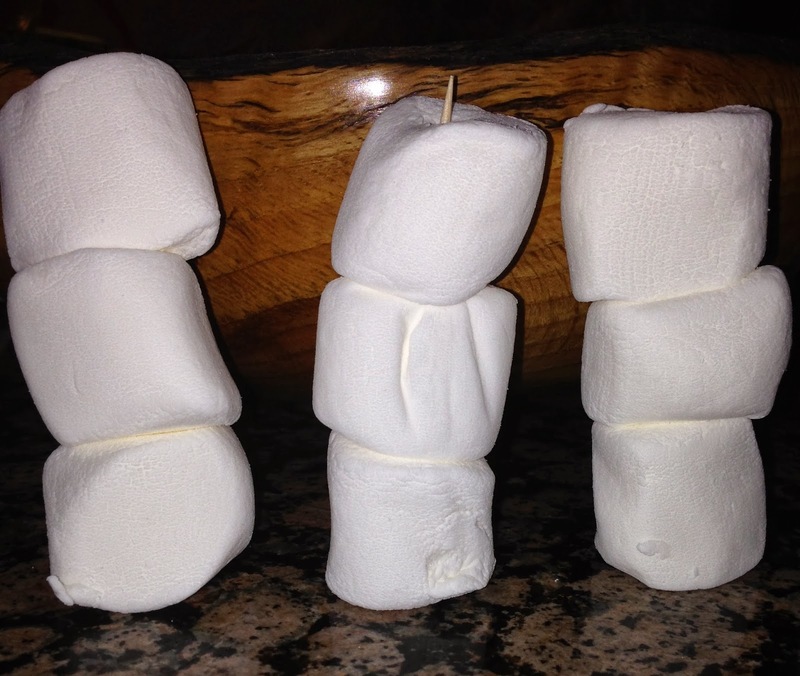 Extend the experience by having children make 3 snowmen, with 3 marshmallows. Ask, “How many marshmallows in all?” When we provide concrete experiences like this we are setting the stage of beginning multiplication! 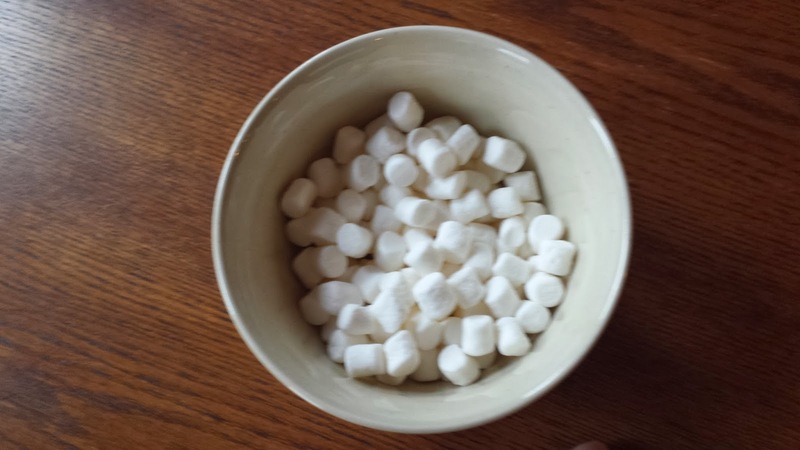 To continue the marshmallow/snow theme, put miniature marshmallows in a bowl. Ask your child to reach in and grab a handful. 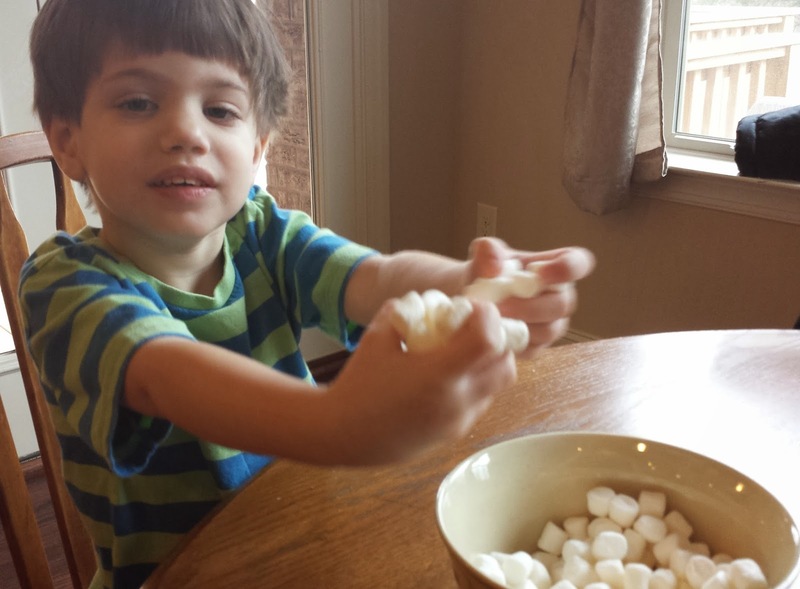 Ask your child (children) to estimate how many marshmallows he/she has in hand. Then count them. 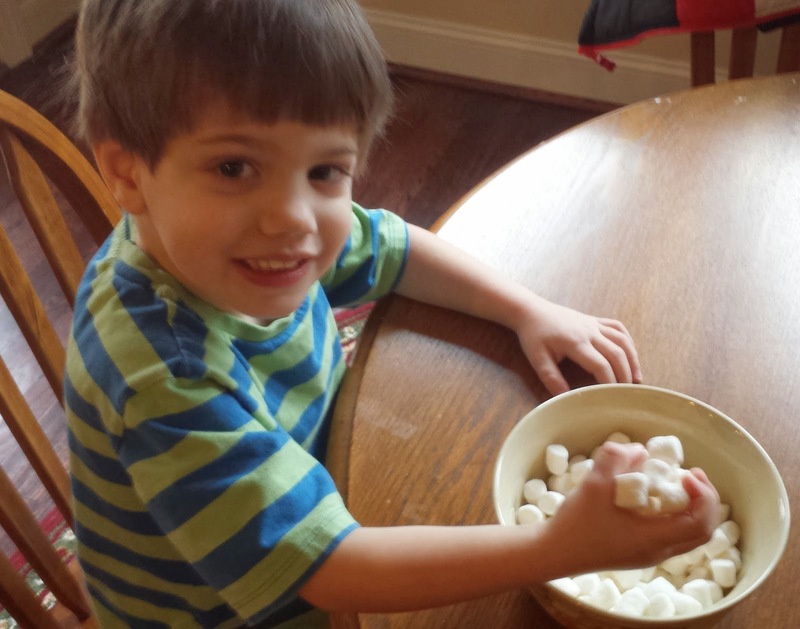 Next ask your child to try and grab more marshmallows. Some children may even use 2 hands! Count to check that the estimate is correct. Finally, integrate art into your snowy day fun. Draw an outline of a cup. 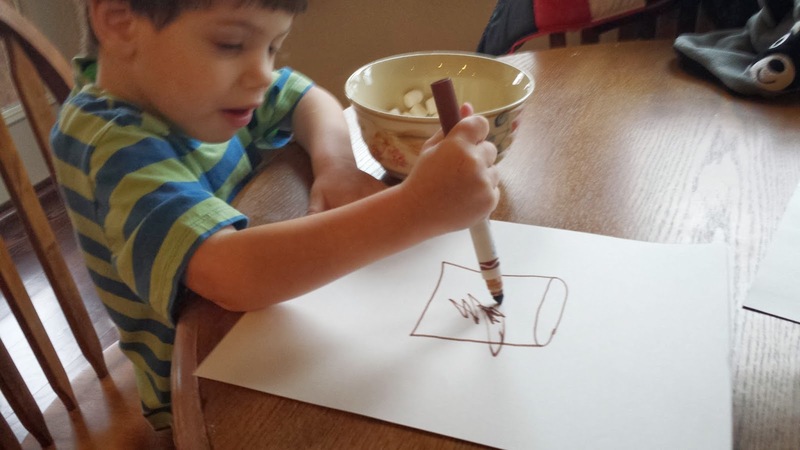 Have your child use a brown crayon, marker, or paint to make hot chocolate. Ask your child how many marshmallows he/she would like to put into the cup. Have the child count this number. Then glue them into the cup to make a 3D art presentation of a snowy day treat!